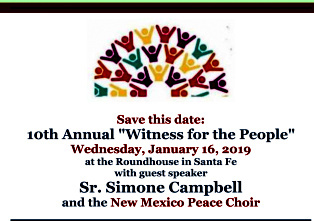 Simone Campbell, executive director of the Catholic Social Justice Lobby NETWORK and founder of the Nuns on the Bus movement, is the featured speaker at the 10th Annual Witness for the People Rally at the Roundhouse in Santa Fe on Wednesday, January 16. The rally is sponsored each year by a coalition of social justice organizations, led by New Mexico Interfaith Worker Justice and New Mexico Interfaith Power and Light. She is a powerful voice for longings so many of us share, across differences, about how to engage with the well-being of our neighbors in this complicated age. Here is the schedule for her visit on Wednesday, January 16. 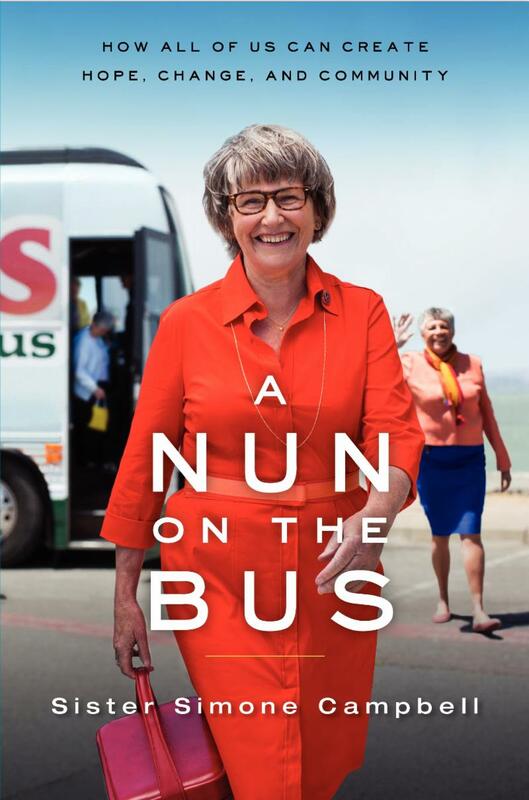 "Nuns on the Bus: Living a Faith that does Justice and Community"